Jaundice in newborns is common and usually harmless but may need treatment. High bilirubin levels can be toxic and cause brain damage. So it's important to recognize severe jaundice symptoms and get timely treatment if necessary. With jaundice your newborn baby's skin will have a light yellow shine. Usually you see it most at her head but the coloring can 'move down' towards her arms and chest. Often the whites of baby's eyes are also yellowish. 50-60% of all newborns show clear signs of yellow coloring, some a lot, some barely noticeable. Most often this is physiological jaundice, caused by the naturally high bilirubin levels right after birth. Bilirubin, a yellow pigment, is a product from normal red blood cell processing in our body. In pregnancy, breaking down bilirubin is taken care of by mommy's liver entirely. Only right after birth does baby's liver take over. But it takes time to be all efficient and that explains the high bilirubin levels and the skin coloring. Besides this common form, other causes of jaundice in newborns include mother-child blood incompatibilities, too little milk intake, in some cases specific breastmilk composition and rare liver or intestine disorders. Logically the first and simple symptom is yellowish skin and eye-whites. The yellow can be very subtle. A good test is to press your finger onto baby's skin. Normal skin will go whitish right after this but yellow skin will stay yellow. The yellow coloring will start at baby's head. As bilirubin levels rise, the coloring will move down towards chest, arms, belly and legs. 'Below the abdomen' is considered a dangerous level, see below. Physiological jaundice, the common harmless form, appears between day 2 and 3 after birth with a peak between day 2 and 4. It is usually gone by the age of 2 weeks. Jaundice related to breastmilk composition will start around day 7, peak at 2-3 weeks and can last longer than a month. Forms of jaundice that appear in the first 24 hours after birth are rare but serious. Your doctors will closely monitor your baby and find out what is causing it. This may be a mother-child blood incompatibility or else caused by an infection or intestinal disorder. 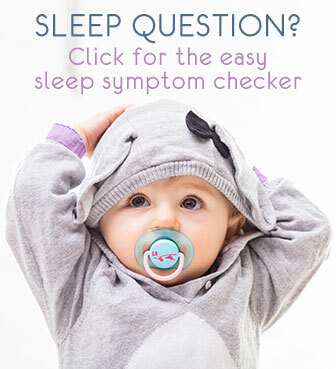 Consult your pediatrician ASAP when your baby is extremely sleepy, barely arouses to drink, feeds very little, has a high-pitched cry, has a fever and/or is very 'floppy' with moments of strongly arching head and back. This may point to dangerously high bilirubin levels and a condition named kernicterus which can cause permanent brain damage. Your pediatrician will advise you what to do and it is absolutely critical that you take your baby to a doctor if you notice any sign of yellow coloring in your young baby. Putting your baby in a bright place near a window, with little clothes on and feeding very very frequently are the first-aid actions. Do this in any case if you notice jaundice and while awaiting the doctor's consult. But don't trust that it is enough until your doctor confirms. If the jaundice is more severe, your doctor may advise light therapy, or photo therapy. 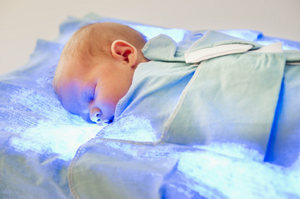 Bright blue lights are then used to help reduce bilirubin levels and so reduce the yellow coloring. This can be done with a photo therapy blanket at home or light therapy in the hospital. 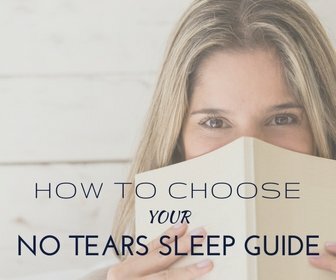 Drinking frequently, whether breast milk or formula, is always very important - the body gets rid of bilirubin through urine or with bowel movements.